President of Ukraine Petro Poroshenko signed the program of intensification of Ukraine-NATO partnership. On April 4, the head of the Ukrainian state congratulated on the 70th anniversary, posting the respective message on Facebook. 'Congratulations to all allies in the NATO om the important anniversary. 70 years ago, the civilized world united to create the North Atlantic Alliance. Over the years, the Alliance proved it is about peace, stability and human dignity. Over these years, the Alliance also proved it is teh most solid and effective team of like-minded people, - not a single case of a member threatening somebody else', Poroshenko wrote. 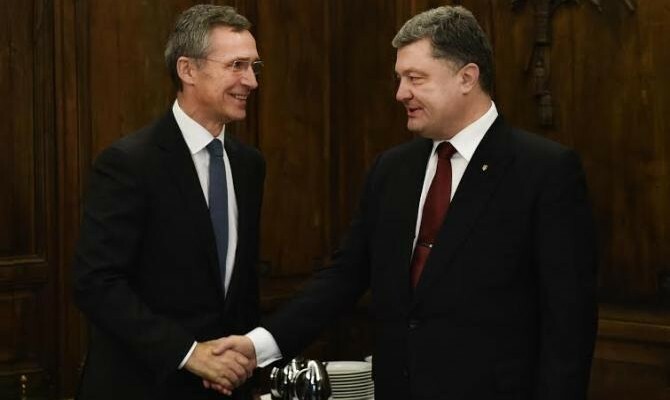 'Believing in this, I'm signing another yearly program of strengthening partnership between Ukraine and NATO', he wrote. The President stated that Ukraine highly evaluates the NATO's solidarity and its stable support in view of the Russian aggression. He stressed that all these years, Ukraine confidently made its way to the North Atlantic Alliance, and it is now 'ready to take the long anticipated commitments and begin to implement the Action plan to join the NATO'.